The line up of celebrities appearing in the Strictly Come Dancing Christmas Special has just been announced. The show will be televised on BBC1 25th December and Elaine Paige will be joined by Rochelle Humes from girl band The Saturdays, radio DJ Sara Cox, EastEnders' actor Ricky Norwood, comedian and West End performer Rufus Hound and singer Matt Goss. 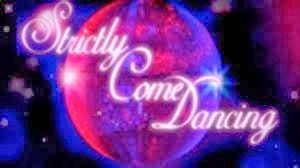 Professional dancers Ian Waite, Pasha Kovalev and Robin Windsor will partner Rochelle, Elaine and Sara respectively, while Aliona Vilani, Flavia Cacace and Janette Manrara will dance with Matt, Rufus and Ricky. All six couples will perform a festive dance in a battle to be crowned 2013 Christmas champions and lift the silver star trophy.